The above oil on canvas dates to 1528 and is the work of the 16th century Italian artist Domenico Caprioli. 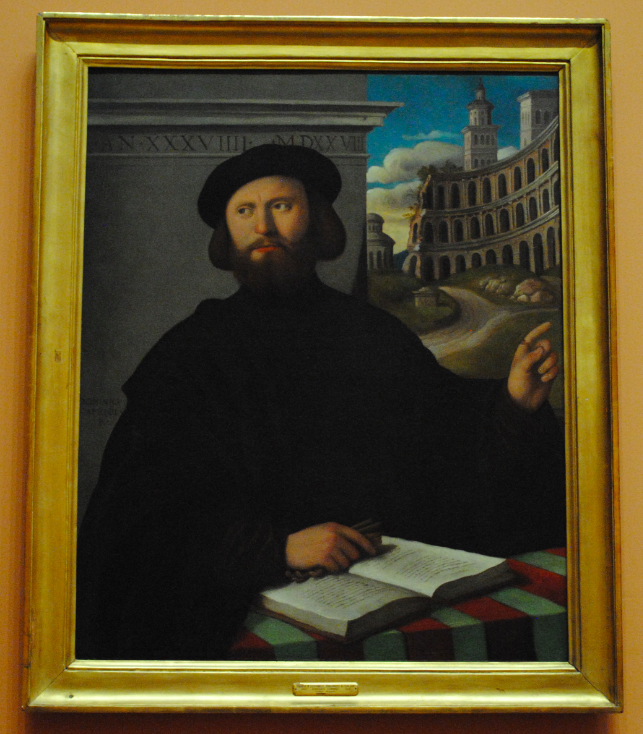 This portrait is the last known work of Domenico as he was murdered in Treviso in 1528. 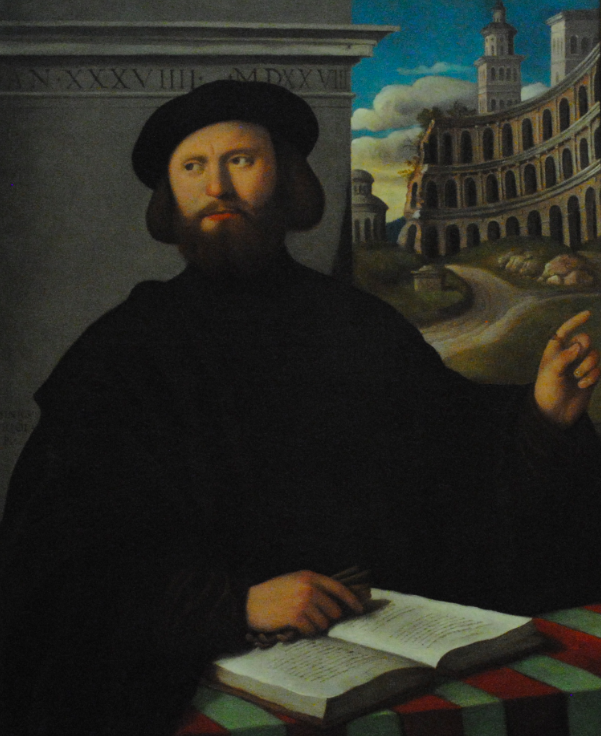 The portrait depicts Lelio Torelli who was a well known secretary, or Jurisconsult, to Cosimo de Medici the Grand Duke of Tuscany. Torelli trained in law in Ferrara and was sent to Perugia to take his doctorate at the age of twenty two. Although his father wanted Torelli to study medicine, he became a successful lawyer. Portrayed when he was thirty nine years old, the Domenico painted the sitter shortly after he was appointed Governor of Rimini by Pandolfo Malatesta.